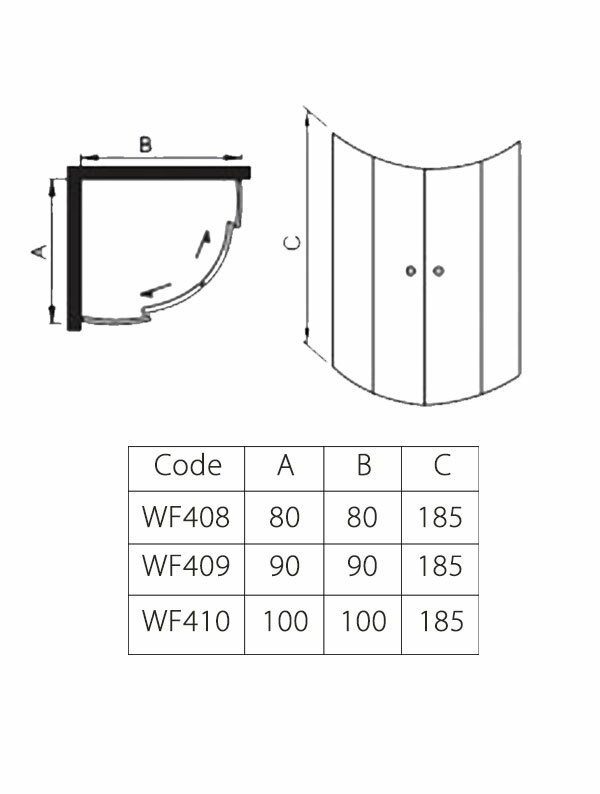 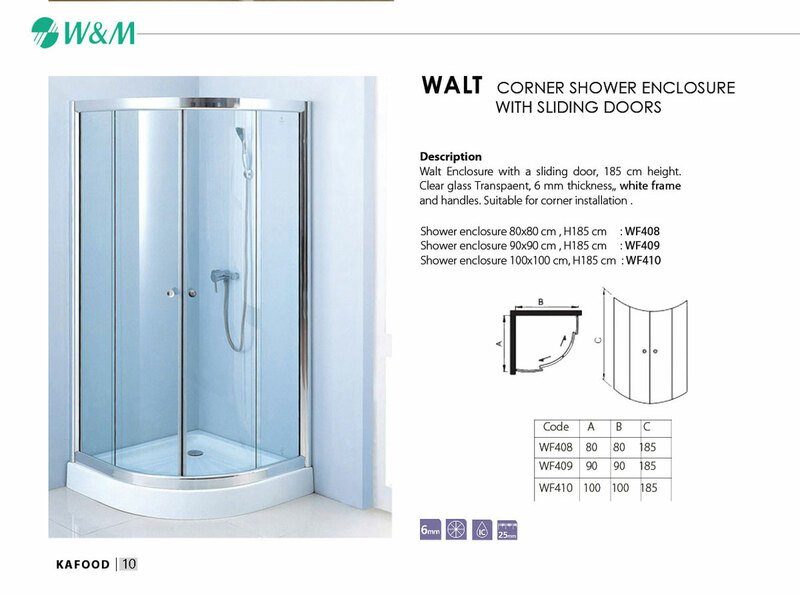 Description Walt Enclosure with a sliding door, 185 cm height. 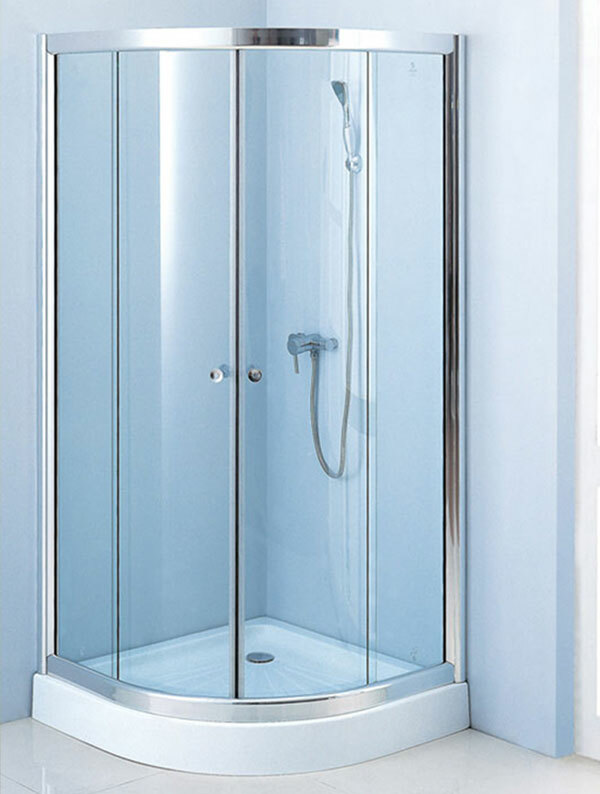 Clear glass Transpaent, 6 mm thickness, white frame and handles. 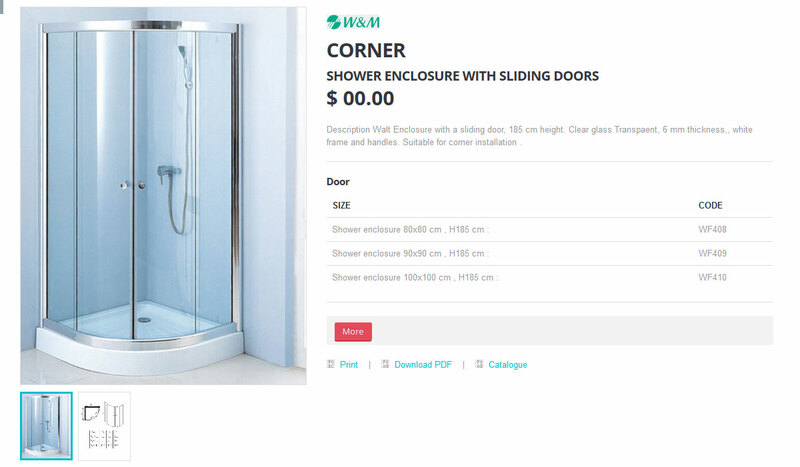 Suitable for corner installation .